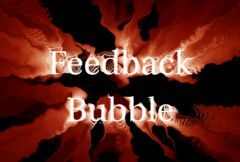 Bubble Freq Rel X: Default: 1, Range: 0.01 or greater. Bubble Shift: X & Y, Default: [0 0], Range: any. Bubble Shift Speed: X & Y, Default: [0 -0.07], Range: any. If non-zero, the bubble pattern is automatically animated to shift at this speed. Bubble Octaves: Integer, Default: 1, Range: 1 to 10.